Top Rated GRE Prep Tutors in Phoenix, AZ! Welcome to Phoenix’s top-rated private GRE prep in-home tutoring service! All of the following Phoenix GRE prep tutors are certified by Varsity Tutors, the leading tutoring agency in the country! 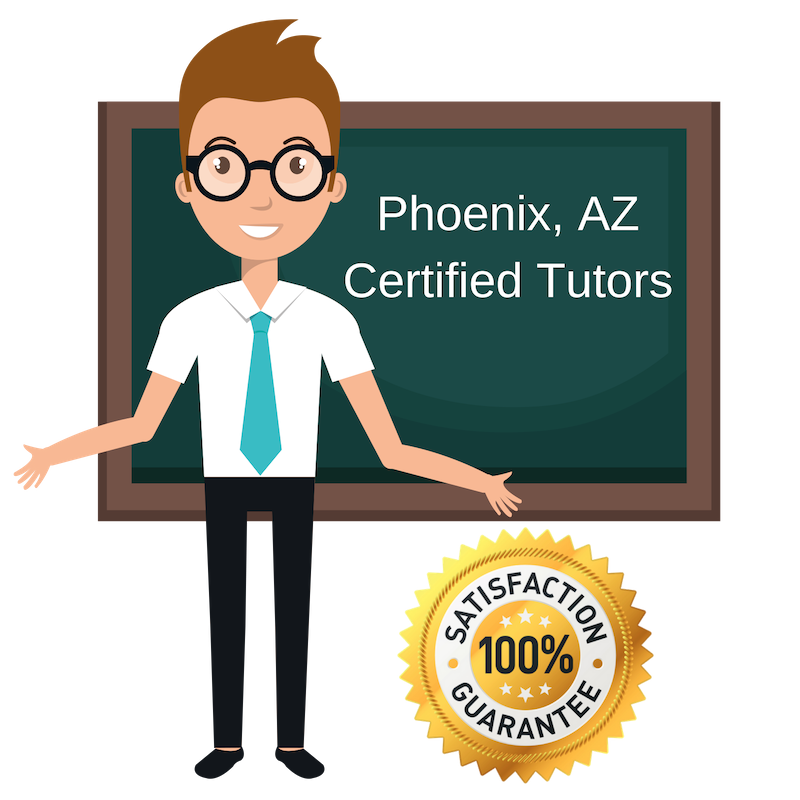 All Phoenix GRE prep tutors have been background checked, been interviewed, had mock GRE prep tutoring sessions, and been trained by professionals. We guarantee you will love your local Phoenix GRE prep tutor or your money back! Get information regarding a top-rated GRE prep tutor today! I recently came back to Arizona, after receiving my Bachelor’s and Master’s degrees from UNC-Chapel Hill in Latin American History. While I was working towards my degree, I began teaching undergraduate courses and discovered a new passion of mine. I love connecting with students and working through challenging concepts with them. I very much enjoyed graduate school, which is I tutor students in the GRE. The GRE is a test many students take as they prepare to apply for graduate school and I’ve been there and I have identified skills and techniques everyone can learn from, in addition to the knowledge needed for each section of the test. I understand each student has different needs and try to match my learning style to fit those needs. As a lifelong engineer and learner, I am excited to tutor and work with students as they move through their own educational paths. I have a Master’s in Systems Engineering from Johns Hopkins University and have learned a lot throughout my life, from my time in college to my forty-plus years in the field, that I draw upon when tutoring. I tutor students in the GRE to help them prepare for that test as they get ready to apply to graduate school. When I’m not tutoring, I’m spending time with my wife and our five children. I have a passion for education and education policy. I graduated from Brown University with a Master’s in Urban Education Policy. I have been tutoring for some time and have come to really enjoy working one-on-one with students and helping prepare them for standardized tests. I tutor the GRE and help get my students as prepared as they can be to truly master the test and come feeling confident. I enjoy being a part of a student’s success and I work hard to get there. I currently instruct undergraduate courses while pursuing my PhD. I have found teaching and tutoring really fit my personality and my skillset. I am focusing my studied on Human Communication, which also greatly helps my tutoring abilities. Higher education has been a huge part of my life, which is why I tutor the GRE, to help others prepare themselves for graduate school. I work hard with each student and try to make the experience fun and worthwhile. I did very well on the GRE and want to share everything I learned and all the skills I developed with each of my students. Reading, writing, baking & cooking, hiking, taking my dogs to the dog park, traveling, boating, wine tasting, martial arts, meditation, journaling, and much, much more! I am a Master’s student at ASU, where I am pursuing a degree in Psychology. I have been tutoring and teaching for some time and really enjoy connecting with students and identifying challenges they need to work through. As a current graduate student, I understand the importance of the GRE and the challenges it poses as well. I tutor the GRE to students preparing to take the test and help share what I learned from taking it so that they can be best prepared for test day. There is something to be learned from each tutoring session with me and I look forward to working with you on the GRE and helping you succeed as you prepare for graduate school. Hiking, tennis, reading, and watching sports.